Find places to stay in Chula Vista, CA and other fun things to do. View our list of attractions, activities, events, restaurants and visitor information. Baycities Motel is situated in Chula Vista. The property is around 9 km from Southwestern College and 11 km from Otay Ranch Town Center. The property is 1.8 km from Chula Vista Bay Front Park.All rooms are equipped with a private bathroom. Non Smoking Rooms. Offering free WiFi Best Choice Inn Chula Vista offers rooms in Chula Vista 9 km from Southwestern College and 11 km from Otay Ranch Town Center. The property is close to several noted attractions around 1.6 km from Chula Vista Marina and around 1. Free Internet,Outdoor Pool. Freebies like Wi-Fi and breakfast a heated outdoor pool and rooms with refrigerators and microwaves make the Best Western Plus Otay Valley one of the area's top-rated hotel's among our guests. Free Internet, Swimming Pool,Outdoor Pool, Non Smoking Rooms. With an outdoor pool and a complimentary continental breakfast the Big 7 Motel offers big value for budget-conscious our guests. The two-story Big 7 Motel offers 45 air-conditioned rooms with cable TV for relaxing with favorite HBO shows before drifting off to sleep. Free Internet, Swimming Pool,Outdoor Pool, Non Smoking Rooms. Currently as low as $216.11/night! Chula Vista House Home is a holiday home located in Chula Vista 2.1 km from Otay Ranch Town Center. The unit is 3.4 km from Southwestern College.There is a seating area a dining area and a kitchen equipped with dishwasher. Free Internet. With a complimentary breakfast free Wi-Fi and an outdoor pool the non-smoking Chula Vista Inn offers essential amenities within 15 minutes of the area's most popular attractions. Free Internet,Outdoor Pool, Non Smoking Rooms. With an outdoor pool hot tub and free in-room Wi-Fi the Comfort Inn Chula Vista San Diego South is off I-805 near the area's most popular attractions. Free Internet, Swimming Pool,Outdoor Pool, Non Smoking Rooms. Complimentary Wi-Fi an outdoor pool and rooms with microwaves and refrigerators make the Days Inn by Wyndham San Diego Chula Vista South Bay a convenient home base for exploring Southern Californian's hottest attractions. Free Internet,Outdoor Pool, Free Breakfast, Non Smoking Rooms. Offering a complimentary breakfast and free in-room Wi-Fi El Primero Hotel is a friendly and comfortable bed and breakfast in the heart of downtown Chula Vista. Free Internet, Non Smoking Rooms. With an affordable price good location and year-round pool Good Nite Inn Chula Vista is a solid option for our guests keeping an eye on the bottom line. Free Internet,Outdoor Pool, Non Smoking Rooms. Currently as low as $105.60/night! 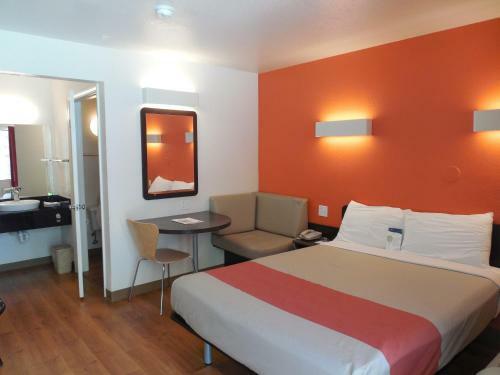 Located off Interstate 5 this Chula Vista hotel offers contemporary rooms equipped with free WiFi. It serves a daily continental breakfast. San Diego's Gaslamp Quarter is 8 miles away.A flat-screen cable TV is offered in each air-conditioned guest room at Hercor Hotel. Free Internet, Non Smoking Rooms. Currently as low as $59.25/night! Budget-conscious our guests looking for a convenient motel close to the San Diego Zoo and other attractions head for Highway Inn Chula Vista. This 41-room motel on three floors with exterior corridors offers rooms with work desks and cable TV with HBO. Free Internet, Non Smoking Rooms. Currently as low as $110.99/night! Complimentary breakfast free Wi-Fi a heated outdoor pool and in-room microwaves and refrigerators make the non-smoking Holiday Inn Express San Diego South - Chula Vista one of the area's most popular hotels among our guests. Free Internet,Outdoor Pool, Free Breakfast, Non Smoking Rooms. Conveniently accessible to the San Diego Freeway with free Wi-Fi and morning coffee Howard Johnson Inn and Suites San Diego Area/Chula Vista is an option for our guests with an eye on the bottom line. Free Internet,Outdoor Pool, Free Breakfast, Non Smoking Rooms. Offering a complimentary breakfast free Wi-Fi and an outdoor pool La Quinta San Diego is conveniently located near I-805 and San Diego's most popular attractions. Free Internet, Swimming Pool,Outdoor Pool, Free Breakfast, Pets Allowed, Non Smoking Rooms. With free coffee in the morning and a trolley stop right down the street Motel 6 San Diego Chula Vista is a find for budget-minded our guests.Outdoor Pool, Pets Allowed, Non Smoking Rooms. Offering a complimentary breakfast an outdoor pool and rooms with free Wi-Fi and breakfast the Quality Inn Chula Vista San Diego South features the amenities our guests look for in a location near I-5. Swimming Pool,Outdoor Pool. Winning amenities include a heated pool in-room kitchens and quick routes to concerts and theme parks at the non-smoking Residence Inn San Diego Chula Vista. Swimming Pool,Outdoor Pool, Non Smoking Rooms. The free Wi-Fi and in-room fridges are big pluses at the non-smoking Rodeway Inn & Suites Chula Vista San Diego South near I-5. All 22 rooms at the two-story Rodeway come complete with flat-panel TVs coffeemakers microwaves mini-fridges and sofa beds. Free Internet, Non Smoking Rooms. Ideally located in the Sunny Vista area San Diego KOA promises a relaxing and wonderful visit. Featuring a satisfying list of amenities guests will find their stay at the property a comfortable one. Service-minded staff will welcome and guide you at San Diego KOA. Free Internet,Outdoor Pool, Pets Allowed.